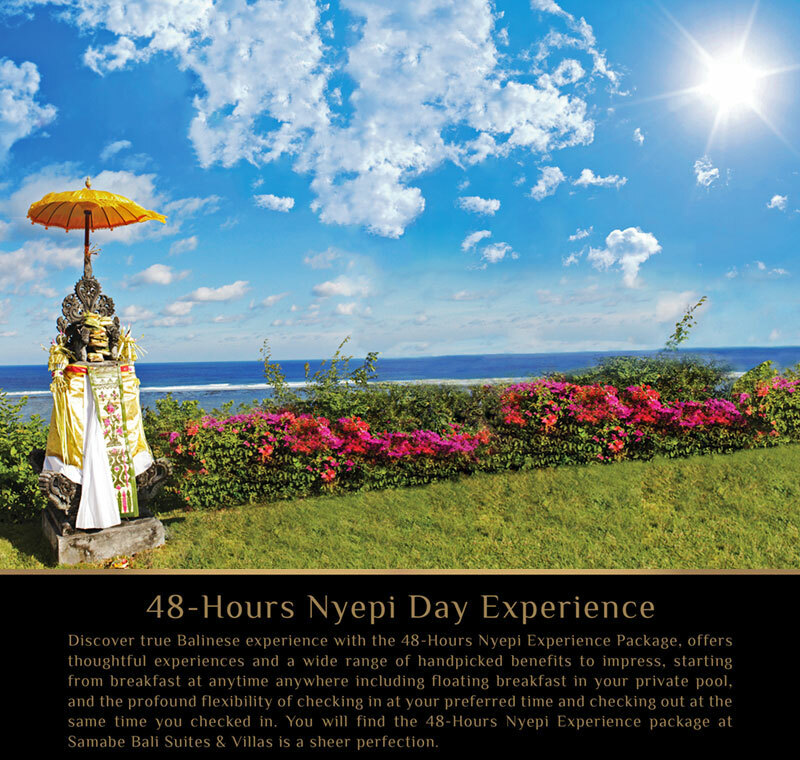 (Bali, 2019) - Discover the true Balinese experience by celebrating the holy Nyepi day or silence day at Samabe Bali Suites & Villas. This year, Nyepi day falls on 7th March 2019 which marking the Balinese New Year. It is the time of the year when the Island of God will be shutting down for 24 hours from 06.00AM to 06.00AM the next day. A day before Nyepi Day, Balinese people will gather in the main street to celebrate Nyepi Day by having a huge statue parade or so called Ogoh-Ogoh. This big statue is believed to drive away all those evils and bad spirits, therefore they shaped it into the a demonic statue or massive evil. Day after the Ogoh-Ogorh parade, the Nyepi day will be started from 06.00 am where no activity, no light, no transportation are allowed, all public places must be closed and nobody is allowed to stay outside the house or building.